天斩煞 / “Tian Zhan Sha” is generally created if there is a gap between 2 high-rise buildings. It will direct the undesirable qi / energy to the facing units.If you view this from a far distance, it seems like a large building being slashed into half by a heavenly knife. What is the criteria to be considered as “Tian Zhan Sha”?- It will only be valid if the 2 buildings are less than 100m apart and more than 60m tall. What Does “Tian Zhan Sha” Means in Feng Shui? 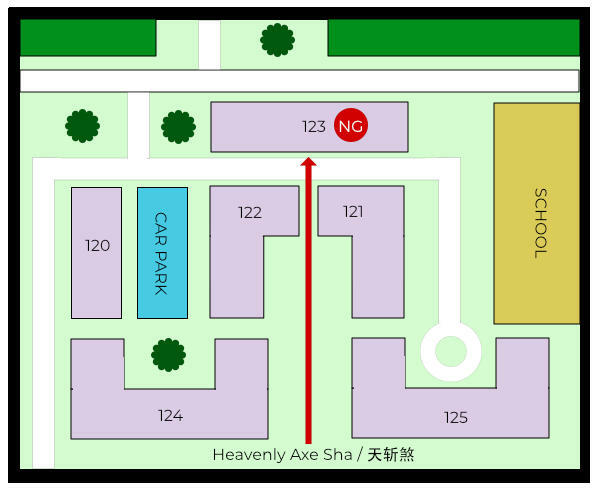 In the above illustration, the building no 123 is facing a narrow wind gap and could be affected by the Sha Qi (天斩煞). 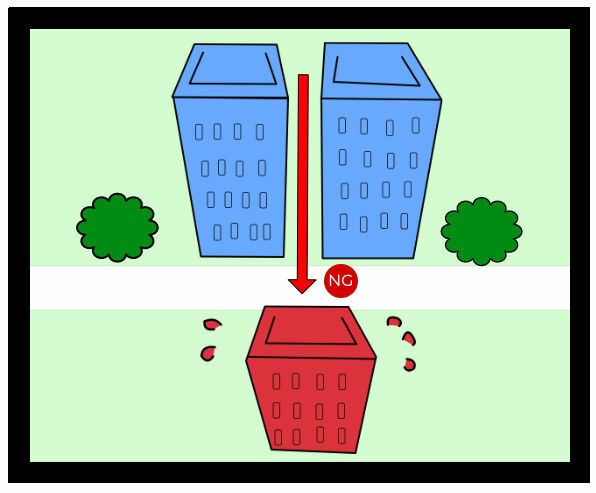 Imagine if the flow of the strong wind is penetrating through the gap between the 2 buildings and also depending on the intensity of the strong wind, will be generating the undesirable killing energy or strong winds to the facing units. 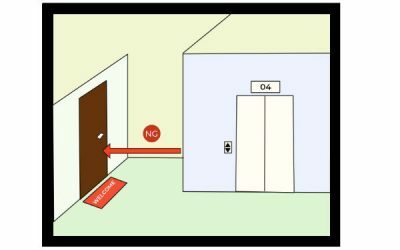 The best mitigation method is to cover the window with drawn curtains at all times and place a 5 Ancient Emperor Chinese Coin or a brass dragon turtle at the entry of the Sha qi to cure the situation. Display Ba Gua on the door/window or balcony to reflect the negative feng shui energy away from pointing at your home, but here are a few pointers to take note when using Ba Gua.